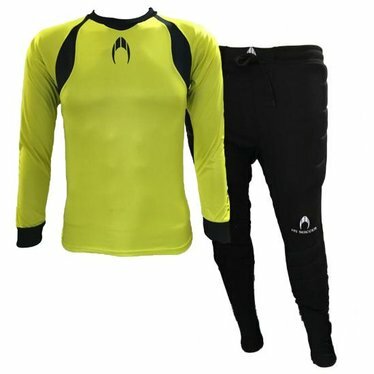 New special children goalkeepers set made up of: - Jersey Slim Fit, 3/4 sleeve without elbow padding. - Padded long trousers. Both made of 100% high quality polyester.